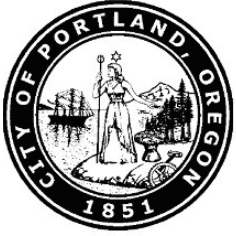 (March 5, 2018) The Portland Bureau of Transportation (PBOT) and Portland Parks & Recreation (PP&R) announced today that PP&R’s O’Bryant Square will be closed indefinitely beginning today due to structural issues in the parking garage beneath the downtown plaza. "After hearing the expert opinions of engineers who have studied this facility, we feel it is necessary to close off access to O'Bryant Square Park and the O'Bryant Square SmartPark Garage," PBOT Director Leah Treat and PP&R Director Mike Abbate said in a joint statement. "This closure will ensure the public is safe while we consider long-term options." Crews with Pacific Fence and Wire started installing a fence today to surround the park and keep the public safely away. Installation should be complete in the coming days. The public is encouraged to stay away. O’Bryant Square is a half-acre site with a small, inactive, fountain. The site is between SW Park and SW 9th Ave. to the east and west, respectively, and bordered by SW Stark St. and SW Washington St. to the north and south. Located at 808 SW Stark St, the garage beneath the park provides 100 underground vehicle parking spaces that give access to area businesses and other destinations in the West End area of downtown. PBOT closed the garage Sept. 4, 2017 because of safety concerns that arose that at the time did not affect the park. During a scheduled repair project during the summer to seal some cracks and stop leaking from the park above, PBOT discovered additional spalling concrete damage. Based on the advice of engineers, the bureau decided to temporarily close the garage and have an engineering firm assess the structure. That assessment recently found risks to the park, prompting the closure, effective today. The assessment found deficiencies in joists, walls, columns and footings that lead officials to believe it would not be safe to allow crowds of people to use the park. O’Bryant Square must remain fenced off until the underground parking garage is determined to be once again structurally sound. In the meantime, PP&R is working on finding alternate locations for two public event permit-holders, who have been notified, and the Square’s occasional food cart vendor. Other parks nearby include the North Park Blocks (.2 miles north), Director Park (.2 miles south), and Pioneer Courthouse Square (.3 miles southeast).